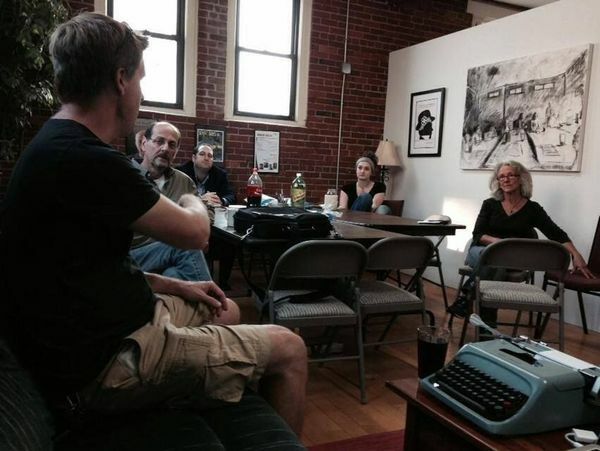 Nat Herzog of StoryHackVT is hosting a digital storytelling workshop tonight at 6:30 PM at the headquarters of the Burlington Writer’s Workshop, Studio 266. This month we’ll explore Twitter fiction, looking at examples of what other well known writers have done (such as Jennifer Egan and Phillip Pullman). The group will then write a short story in a series of 5 tweets. This exercise will be short and accessible enough that we can share and discuss our wrk afterwards. Via the Sun Chronicle, Vermont will soon be home to its first Tesla Supercharger station. The electric car company is slowly building out its network of stations around the country, which can charge the cars in a short period of time. The new station will be located in Brattleboro. The eight-bay charging station has been built in the Price Chopper parking lot. Tesla is awaiting a permit to attach the charging stations to the electric grid. The Supercharger can charge a battery in one of the company’s Model S electric vehicles, halfway, in about 20 minutes and a fully charged Model S can travel for about three hours, the newspaper reported. Tesla has been adding to its Supercharger network since 2012. It has about 150 charging stations in the United States and hopes to have a station every 120-150 miles in the next few years. Tesla car owners can charge their vehicles for free at the stations. Vermont Edition: What Does A Neutral Internet Look Like? On Wednesday, the Federal Communication Commission is set to vote on a proposed set of rules that would regulate the traffic of information on the internet. 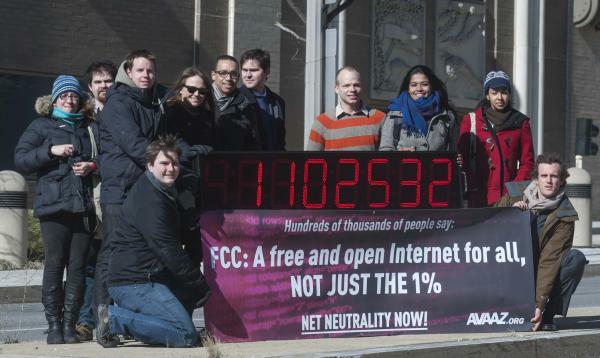 Many fear that this would be the end of net neutrality. But is the internet really neutral right now? And how would the proposed rules change the user experience online? We’ll talk to Champlain College Instructor Ric Messier about what net neutrality is and what the future of the internet might look like. Listen at 12pm and at 7pm. Details here. We’re living in a data-rich world. Many of the devices and tools we use daily collect information about us — think smartphones, Fitbits and web browsers. And we’re sharing our data with each other at an unprecedented rate. Twitter users alone generate more than 50 million tweets per day. This information explosion — aka Big Data — is creating all kinds of new opportunities to study and predict behavior, and the University of Vermont is taking advantage of them. 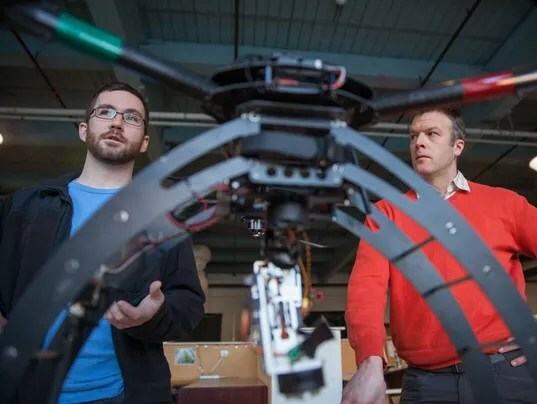 That was one takeaway from “Prediction: The Next Big Thing,” an event last Monday at UVM’s Davis Center that investigated prediction science in the age of Big Data. The conference drew about 250 students, faculty and community members curious about how researchers are putting this new wealth of data to use. The presentations and projects spanned a dizzying array of fields — from biology to social science, natural resources to robotics. Three hours was barely enough time to digest even a few of the big ideas on display. This is something that I really wish that I’d made it out to. Data collection and analytics are going to be incredibly important fields as we increasingly rely more on technological systems. Sites such as Amazon to Netflix to Google use the data they collect to deliver better results for their customers (and for revenue from ads), while shows such as Person of Interest look at the darker side of large amounts of data that can be crunched relatively easily. Hopefully, this symposium will be a recurring thing. Burlington-based game studio Toonuva Games is embarking on a major open world survival game for Apple platforms called The Wild. Explore, scavenge, hunt, build, use whatever means necessary to survive in this brutally intense, first-person open-world survival simulation for iOS and Mac. OPEN-WORLD: 100 sq. km Island covered in arid deserts, dense forests, lush over-run grasslands and military compounds, underground bunkers, towns including a full day/night cycle experience. SURVIVAL: Survive for as long as you can. Utilize the environment to source food, water, shelter, clothing/armor, weapons and tools. Fight for your life against the Deformed, and hostile factions. Board-up and barricade buildings, set traps and transform abandoned areas into your defendable base- or build your own base. Use stealth to evade enemies or brute force to taken them down- but if you die, you will loose everything and start from the beginning so every decision counts. ENEMY AI: Our system for enemies takes into account line of sight, sound, hostility. Hostility measures how aggressive the player is to the enemy, i.e. retaliation, trigger warring faction fights. The sole focus is to create incredible emergent gameplay. WHO ARE WE? :Two guys in Vermont, USA on a mission to create a DayZ style survival game for iOS. Thanks to the TouchArcade community and the Unity Game Engine/Asset Store! DEV UPDATE: We plan on a full release in May. This includes a) survival mechanics, b) looting, c) inventory, d) combat (AI has line of sight, sound sensors, and a “hostility sensor”), and last but not least, e) base building. We’re going to launch either at $3.99 or $4.99 then add $.99 to the sticker price for subsequet large updates. We will never have IAP, no ever charge for specfic updates. After intial release we plan on adding wildlife within the larger deep crafting update we’ll push out a week after v1. If you’re not familiar, we update the forums weekly, and will work the same way after v1 launch on the App Store. The hostility sensor will give us the emergent gameplay that lots of fans have been asking for- faction war, dynamic combat, change in behavior if you kill chieftains (this goes for the deformed, militia, and to some extent the wildlife). The game is set to be released in May on the iTunes App Store. Take a look at their release and some screenshots here. Spotted on Church Street by Nate Herzog: it looks like Blu Bin, our local 3D Printing Company, will print up your own action figure of yourself! Learning Touch, a Local64 based company, is wrapping up a four month development sprint for their latest app – Alpha Builders and they are seeking pre-launch feedback from people like you! — I own an iPad with iOS7 running on it. — I and/or my family members enjoy word and/or puzzle games – maybe you are a closet Tetris addict or you are currently engaged in an epic online Scrabble tournament. Your family plays Bananagrams on the weekend for fun etc. — You sometimes share or play games with others online or in your family. If you answered yes to all the questions above, then we’d love to have you as a beta tester for the app. Visit the Alpha Builders App website and use the form at the bottom of the homepage to sign up.